LM3 is made from 100% woven polypropylene, and is ideal for low temperature environments, down to -70°C (-94°F). 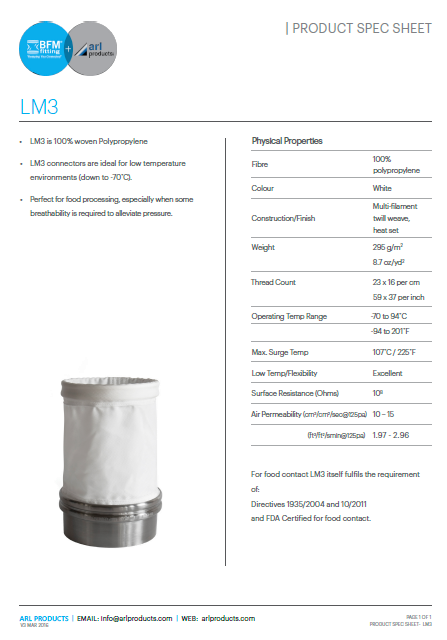 Can LM3 be used with processing freeze-dried coffee? Yes – LM3 is perfect for this application as it can operate comfortably down to -70 degrees C (-94 degrees F). 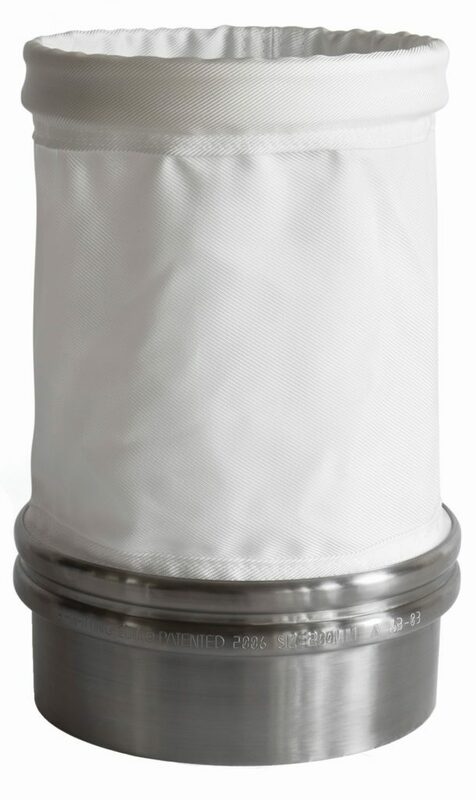 However, we recommend a separate FM1 Breather Bag installed elsewhere in the system to handle the breathing/venting of the air. In other words, although the LM3 is air permeable, it needs to act as a connector, otherwise it may become clogged.